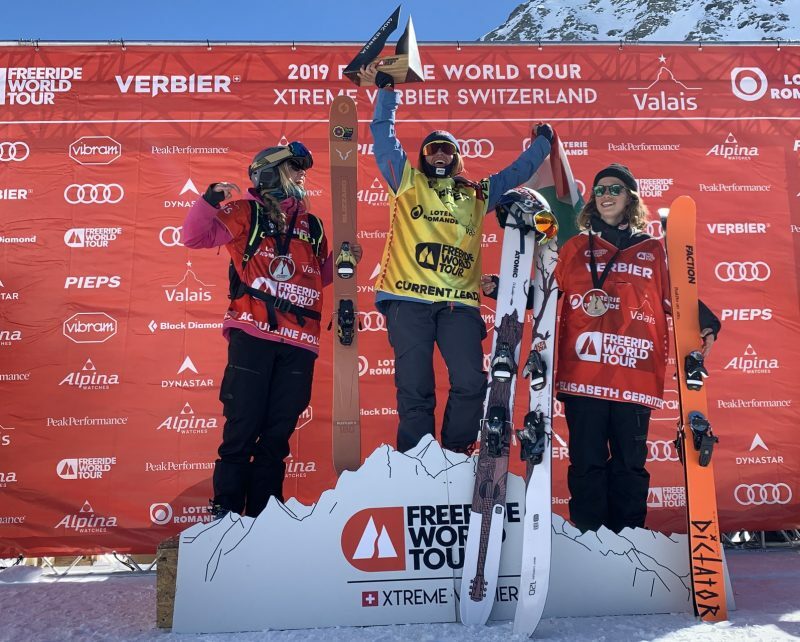 Three world titles were up for grabs in Verbier at the finale of the 2019 Freeride World Tour and the planet’s best freeriders went huge on the resort’s mighty Bec des Rosses, leaving nothing on the line. With the familiar combination of nerves and excitement, which are always present on this legendary venue and the world’s best did not disappoint. Under sunny skies the competitors provided a Grand Finale and certainly left us wanting more for FWT20. 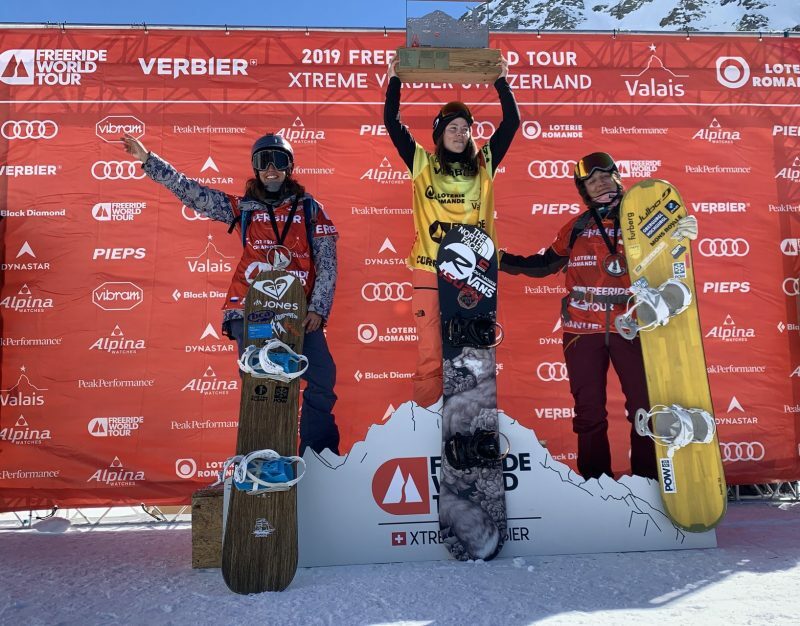 Hometown hero Elisabeth Gerritzen (SUI- 1st Place) delivered the goods today showing us her control and style in big, exposed terrain. Fearlessly sending her first cliff deep she managed to hold her line and link it into a huge mandatory air. The excitement didn’t finish there with Elisabeth stomping another huge air and straight lining it home all the way to victory. Arianna Tricomi (ITA- 2nd Place) claimed her second consecutive FWT World Title with an exciting second-place run on the Bec. Taking a different approach on the face she linked together some technical features with smooth, stylish skiing. Hazel Josie Birnbaum (USA- 3rd Place) threw down a memorable line for her last run on the FWT. Storming into her line she then sent the compulsory air from higher up and stomped the landing. The veteran will be missed on tour, but what a way to finish her FWT career. Jonathan Penfield (USA- 1st Place) set the category on fire with a dazzling show of big mountain snowboarding. The first rider out of the gates he linked together a series of huge airs including a backside 360. Entering more exposure he calmly sent his way over another cliff and capitalized on his fluidity score. Three time FWT champion Sammy Luebke (USA- 2nd Place) showed us why he is still one of the best freeriders around throwing down a huge line on the Bec. Starting with a massive air in a steep and technical zone he followed it up with a smooth 360 and yet another big air. 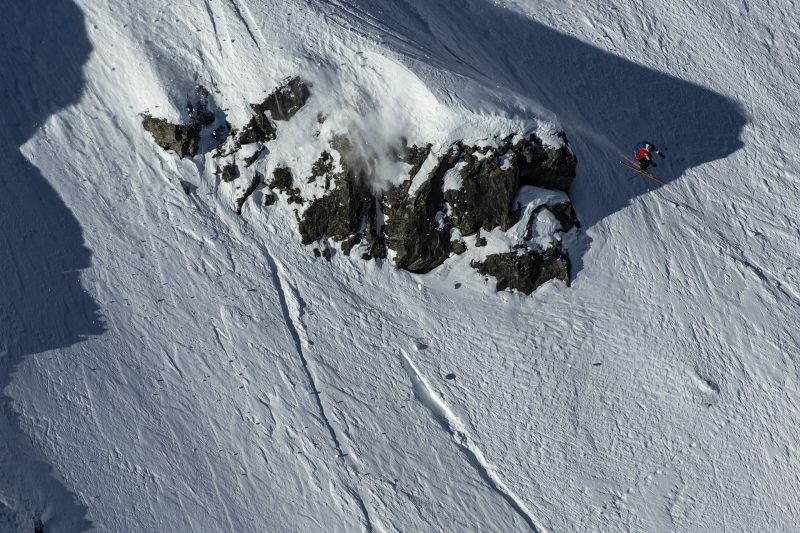 Victor De La Rue (FRA- 3rd Place) claimed his maiden FWT victory in his rookie year. Following in the footsteps of his older brother, Xavier, Victor impressed the judges with a mix of big airs and fluid snowboarding including a massive 360. 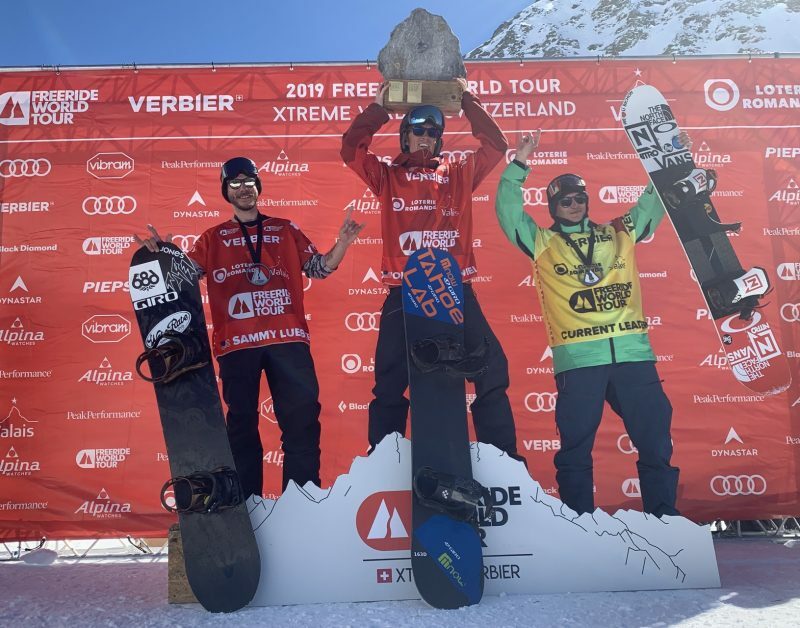 All of the final FWT19 rankings and all the action is online at freeridewordtour.com.